Valec is a Brazilian railway construction and operation company with 550 employees — the public company manages three railways: the North-South Railway, the West-East Integration Railway and the Center-West Integration Railway. The organization plays a major role in developing infrastructure across a very large territory with far-flung cities and complex geography, and is linked to the Brazilian Ministry of Transport. Valec is currently in the process of building and operating the North-South Railway, which will run from Belém in the North to the southernmost city in Brazil, Río Grande, enabling the movement of valuable commodities — 1,575 km of this railway is already in operation, but Valec is still building around 700km of the track. A Central Operations facility coordinates work across the entire span of the railway, controlling the movement of goods trains and other rail vehicles, ensuring that all building and engineering tasks run according to plan. Meanwhile, mechanics, engineers, builders, and other workers are all posted at different points down the length of the track to do construction work and maintenance on specific sections of the railway. Numerous maintenance vehicles drive up and down the line, managing the railway, delivering vital raw materials and moving workers. This system was problematic on several levels — for one thing, it did not allow the Central Operations facility to have any real feedback on what its vehicles were doing. It also restricted the agility of Valec — rather than being able to react flexibly to changing events happening along the line and being ableto adjust resource allocation accordingly by communicating with drivers, it instead left them with only one reliable point of contact — the paper-based system. Moreover, not being able to see where drivers were in real time represented a safety and health issue, as these drivers were travelling very long distances to remote locations on a daily basis. There was also an economic cost involved with trains — which can be up to 1km long — more likely to consume the extra 800 liters of diesel it takes them to stop and re-start to accommodate unanticipated events on the line. Both of these functions are enabled by Inmarsat BGAN terminals integrated into the vehicles by Globalsat Group through its affiliate Globalsat do Brasil, and connected to the highly reliable Inmarsat L-band network, which during initial testing proved to have more than 99% availability even on a moving vehicle. Bruno Fontoura, from Valec Operations, commented on the hybrid solution and said the North-South Railway is a huge infrastructure project which will help drive our national economy. As a public company that acts for the wider social and economic good of Brazil, the railway must be completed on time and at the right cost, so we must use the right suppliers. 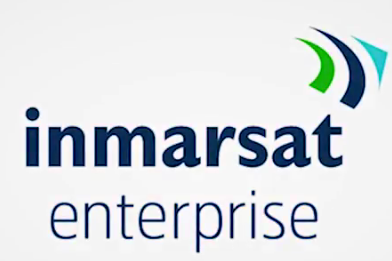 Globalsat Group and Inmarsat met the project's needs very well — although the original project only involved PTT handsets, after the solution had been put in place, it became clear that the vehicles’ precise location was needed to appear on the control panels. The two organizations adapted the solution to our requirements, and adjusted the hybrid solution to include the GPS tracking element that would prove to be such a vital part of the finished service. Fontoura continued by stating that, importantly, the hybrid solution was skillfully integrated into the existing systems, meaning that the company didn’t have to make any major adjustments to control panels or in Central Operations facilities to ensure the entire system functioned. Finally, all this was delivered on time and at the lowest cost that was offered to us during the RFP process. The system works reliably, saving money and improving safety standards and has become the bedrock of the North-South Railway project.